In 2010, after years of close partnership and shared vision, Mission Mill Museum (established 1964) and the Marion County Historical Society (established 1950) merged to form the Willamette Heritage Center. Both of the successor organizations had long histories themselves. 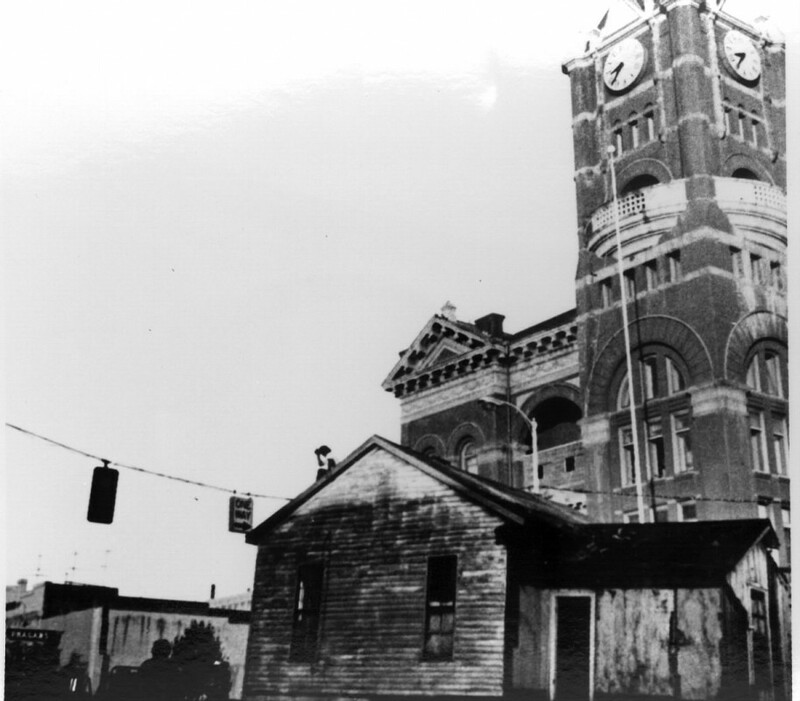 In the late 1940s, when proposals were made to demolish both the building that housed Oregon’s capitol at statehood and Marion County’s 80-year-old courthouse, many people became upset at the loss of Salem’s heritage. Eventually, in 1950, they formed the Marion County Historical Society. Led by its first president, David Duniway, the society promoted historic preservation in Marion County as well as held educational programs and published booklets of Marion County history. It led preservation efforts for historic buildings such as the Jason Lee House, the Thomas Kay Woolen Mill and Historic Deepwood Estate. It also briefly operated a museum in Gervais in the early 1970s. 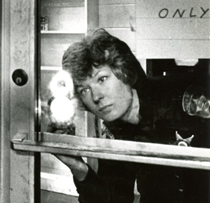 About 1980, the society began a museum in a small room of Mission Mill Museum. This effort expanded in 1984 when the society purchased the mill’s old retail store and converted it into a museum. The collections and archives of the Society make up the core collection of the Center’s Research Library and Archives. The association and dedicated corps of volunteers worked tireless to restore and interpret the Thomas Kay Woolen Mill and historic houses that had been relocated on the site. 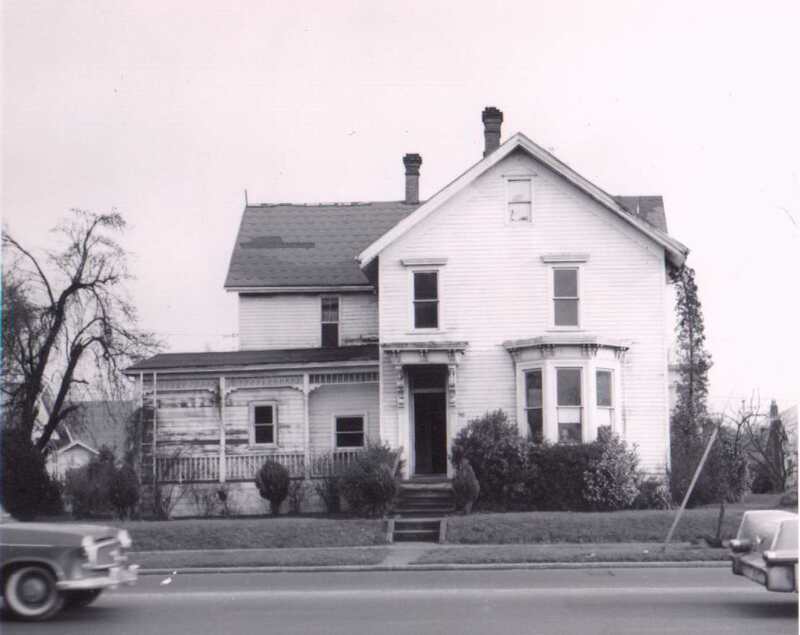 Jason Lee House with many Victorian additions as it looked standing at its original location at E Street along Broadway in Salem, prior to its move. WHC M3 1993-102-0003. The historic Jason Lee House (1841) was acquired by the Marion County Historical Society in early 1963 after the property was acquired by a private developer. Demolition work began on the house in February 1963, even though a site had not been determined. 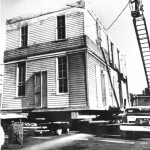 The Lee House was moved on Thursday, March 7, 1963 to a temporary location on the 600 Block of Front Street in Salem. Lee House on the move to temporary Front Street Location. WHC 0091.010.0001 Photo appeared in the Capital Journal, Thursday, March 7, 1963. Despite being an eyesore, the house continued at the Front Street location, while the city and concerned citizens debated where its final resting place should be. Likely candidates included Marion Square Park and Bush Pasture Park. 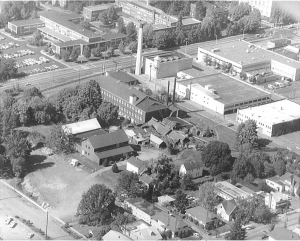 Eventually, the Thomas Kay Woolen Mill Site was selected and ground breaking ceremonies were held June 13, 1965. 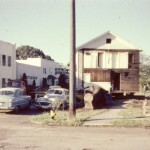 The Lee House was moved from Front Street to the Thomas Kay Woolen Mill Site on July 22, 1965, despite a delay caused by it getting stuck under the Center Street Bridge on Front Street for about an hour. After years of research and restoration work, the Lee House was dedicated and opened to the public July 4, 1974. 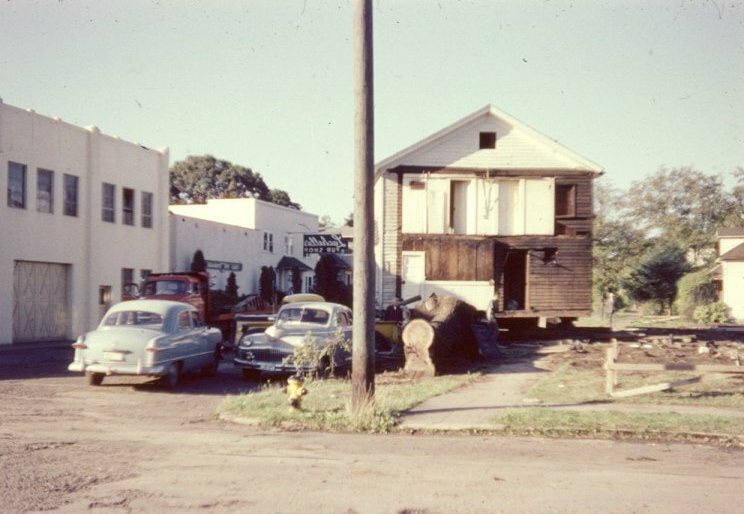 Methodist Parsonage on the move in 1953. WHC 0084.012.0002.008. When the property the 1841 Methodist Parsonage was on was acquired by the Salem School District for building a new office building, preservation activists lobbied for saving it. 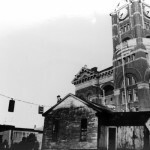 The Marion County Historical Society acquired the building and moved it to temporary storage on the grounds of the still operating Thomas Kay Woolen Mill on October 14, 1953. It was rolled down Ferry Street by 23 workmen. The temporary site for the parsonage was on the Northeast corner of the site, by the machine shop. 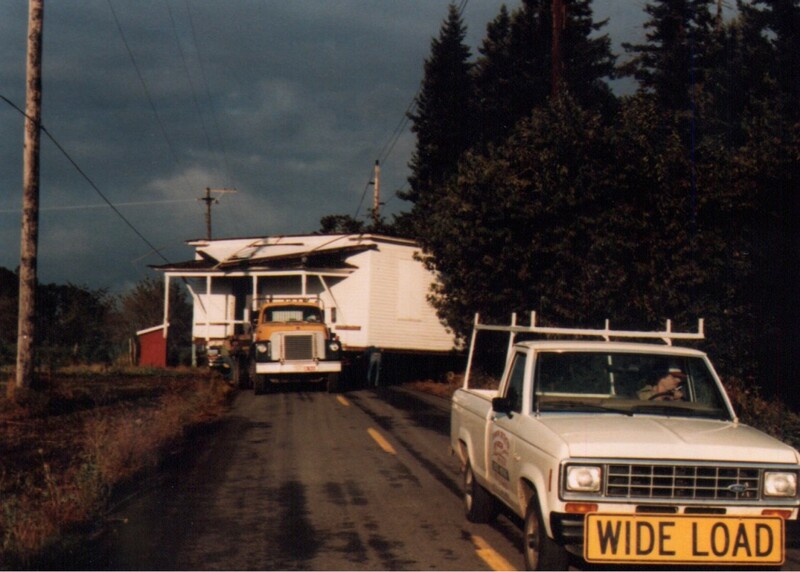 This was the second move for the Parsonage, which had originally been located about where the watertower for the mill now stands. 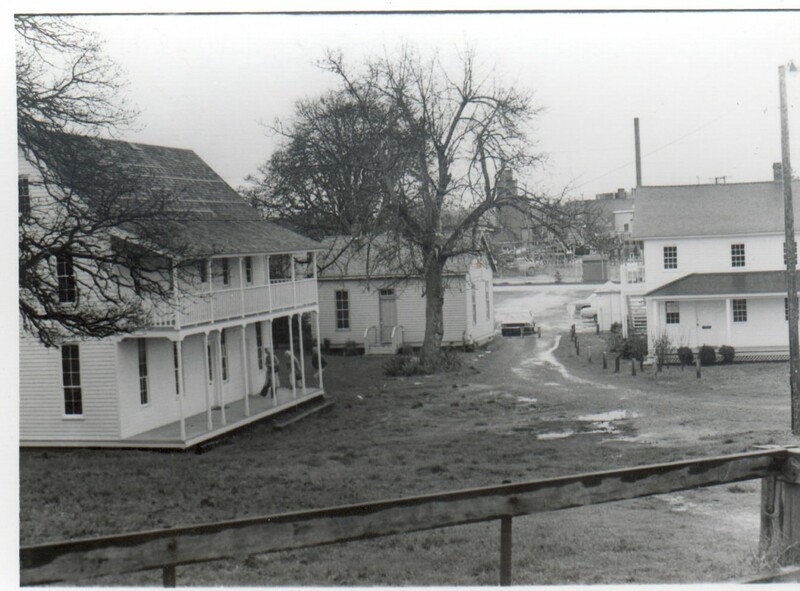 Sometime before 1966, but probably after the establishment of Mission Mill Museum in 1964, the parsonage was moved to its current location and restored. The restored Parsonage was dedicated May 21, 1972 by then secretary of State Clay Myers. The ribbon was cut by Mrs. John Sprouse, daughter of Burt Brown Barker — a former resident and strongest advocate for the preservation of the Parsonage. Read more about the Parsonage’s complex history here. 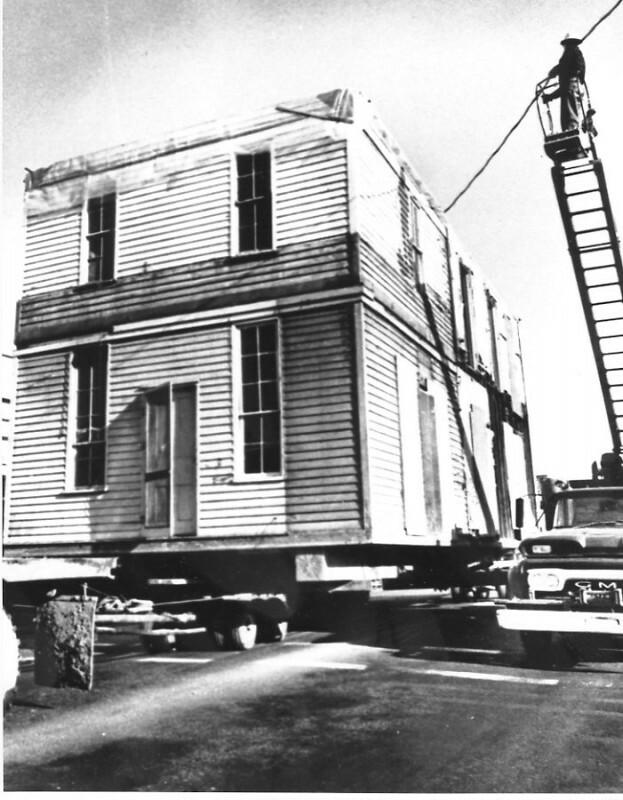 Boon House on the move, Marion County Courthouse in the background, August 10, 1972. WHC 2004.010.0580. Two more buildings were added to Mission Mill Museum in the decades to come. 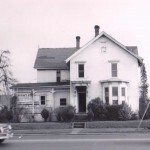 The John D. Boon house, the oldest single family house in Salem, was moved to the site on August 10, 1972, from its original location next to what is now Boone’s Treasury to make room for a new office building. Through the generous donation of Ruth McBride Powers, the houses restored, furnished and dedicated on July 4, 1973. 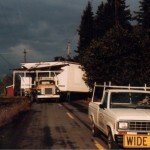 The Pleasant Grove Church (also known as the Condit Church), the oldest Presbyterian Church in the Pacific Northwest, was moved to the site in 1984. The church was dedicated at the museum on Oct 7, 1985.